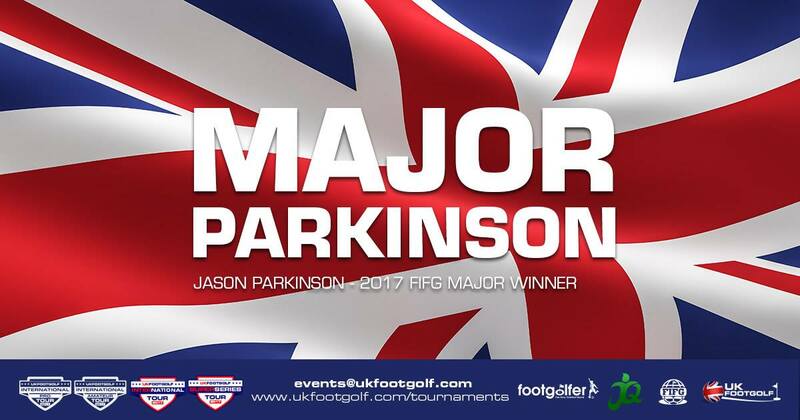 Jason Parkinson led after the first and second day of the 6th stage of the 2017 European Footgolf Tour, and then resisted the challengers on the final day also. 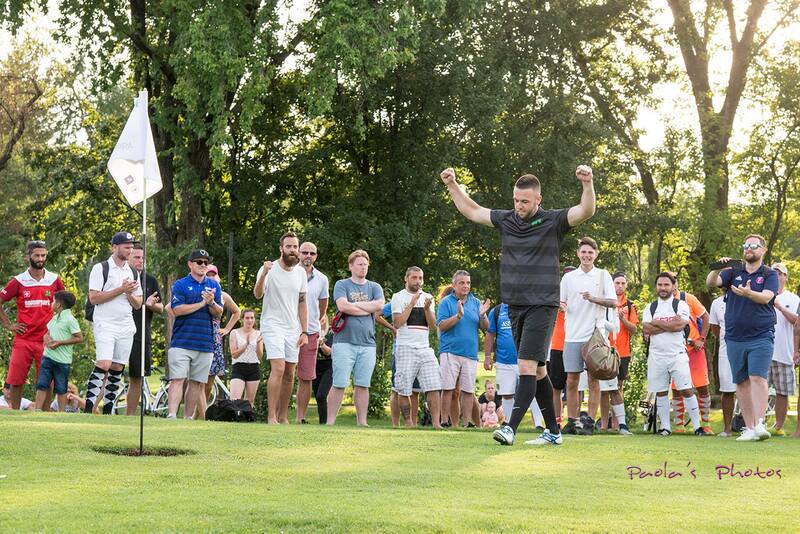 He became the first winner of an FIFG Major tournament in the European FootGolf Tour’s history last weekend. Leading from the first day, and then securing victory in a Major must be your best ever tournament? My best performance ever in a competition would have to be in the Italian open on Friday, when I shot -11. Everything just went so smoothly and I didn’t get any bogeys. After the first day when I was leading, I was over the moon. Knowing it was only by 1 shot though you can’t afford to get over excited and because anything can happen in one hole, I was just trying to stay focused and play how I played on the previous two days. Leading after the second day also made me think I had a good chance of winning this. What was the moment you realised no one could catch you? For me the only time I realised it was a victory was when that ball is in the hole and I have the winning score, never before that. How can someone win a three day-long tournament? For me it’s not a high level. Anyone can be on the same level as me if they put the hard work in. My method is just to play to the course, never take risks and put away the chances when you’ve have them. Never be greedy. Hopefully I will be able to repeat this performance in the future by practicing a lot and improving on my faults so I have as few as possible. What is in your schedule for the next half of the season? 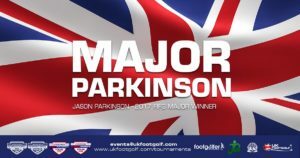 I was mainly concentrating on the UK international tour and the UK super series, but I’ve just won quite a lot of money now so I might branch out to a few more world tour events, but I need to sit down and have a look at that. 1 Reply to "Parkinson: Never take risks!"